Business coaches love to say “fail big or go home!” That statement drips of motivation, but it’s not practical in the trading world. Failing big means losing $10,000, $20,000 or even a million dollars. No thanks. On the other hand, If you’ve ever traded real money, you know we all make mistakes. Believe me, I’ve made plenty of mistakes when it comes to trading. I try to learn from them. I also try to learn from other traders. In the course of running my two trader-focused businesses (trader coaching and trading computers), I have had the opportunity to observe plenty of traders. And I’ve gotten pretty good at predicting which ones will succeed and which will fail. It doesn’t have anything to do with which brokerage they choose, or which software they choose, or even what instrument they trade. Instead, it has everything to do with trading psychology. Who would have guessed? Success in trading comes from what goes on between your ears… long before it translates to how much money lands in your bank account. Here are the top three psychological traps I have observed in traders who are just breaking even, or have blown up their accounts. After a trader loses money (aka, experiences a draw-down), failing traders continually beat themselves up. They never recover or improve their trading psychology after their draw-down. They go through what almost looks like grief. They personalize the mistake and they make it permanent in their mind. 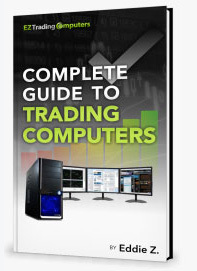 You needn’t beat yourself up on performance as long as you’re sticking to your trading system. Consistently following the rules of your chosen system is what counts in the long run. Successful traders make mistakes and move on. They never repeat the same mistake twice. Consequently, they always make a big comeback. The Fear of Missing Out, or ‘FOMO’ as is often referred to, is the second biggest cause of failure. Traders get into deep trouble when they adopt a habit of always chasing after a better get-rich-quick mouse trap. Every time they take a small loss, they’re looking for a new strategy. That always gets them into trouble. No strategy will ever succeed on every single trade. There are many ways make money in the market. However, if you adopt one trading strategy this month, only to throw it out next month for a new one, chances are you’ll fail. Successful traders adopt a strategy and stick to it. They dedicate themselves to learning their strategy thoroughly to the point of becoming an expert. Their consistency gets them better results. Most traders focus on their challenges. They obsess about the tools they don’t have, the capital they don’t have, or the training that isn’t sufficient. Successful traders focus on the actions they can take and the variables they can control. They take full advantage of whatever software, capital, and training they do have. They know that fretting about what they don’t have is a waste of time. Whether you’re trading stocks, options, Forex, or futures, these principles apply. Mastering trading takes time. But abiding by the psychological principles of success will get you to mastery before you know it.